The Las Vegas NACE Blog: NACE is at The Special Event 2009! NACE is at The Special Event 2009! 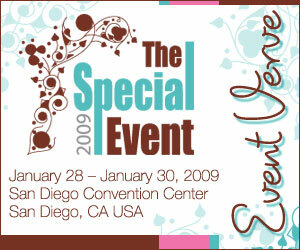 As in past years, NACE will have an association with The Special Event Show, January 28-30, 2009-this year to be held in San Diego at the San Diego Convention Center. 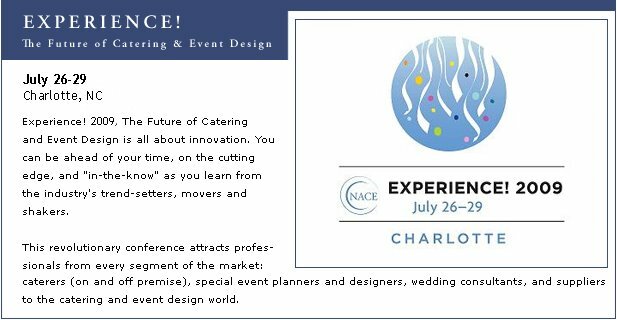 NACE once again has an association on the education front and the "Food Services & More" track will feature some NACE Members such as former national President Daniel Briones, National 2nd VP Cliff Schamber CPCE, CMP and our own Andy Ebon will be presenting as well. Our good friends from the San Diego NACE chapter are the co-sponsors of the always popular "Welcome Event" and they are putting on a great California Beach Party as only San Diego can do. "TSE has teamed up, once again, with NACE to bring you San Diego’s key players in the catering community. Discover the true meaning of an endless summer… the good vibes of food, fun, surf and sound as SoCal's award-winning caterers and event professionals catch the perfect wave and take you on the ride of your life! Enjoy the flavors of California Fresh, traditional Mexican with a modern flair, and a colorful mix from the local San Diego culinary scene." -From "Welcome Event" page at Special Event Show website. "Good Vibrations" & Delicious Libations will surely be on the menu for this fun event! Finally, Don't forget to drop by the NACE booth (#525) on the Trade Show floor starting on Wednesday the 29th. It will be the place to meet many of your national NACE leaders and ask them questions, learn about what's new with NACE on the national stage and meet many of your fellow NACE members from around the country. Hope to see you next week in San Diego! !